The HTC One (previously named M7) is simply the most talked about handset so far this year and it's stealing some considerable amount of lightning from the newly released Samsung Galaxy S 4. With all the published reviews that praises its beauty, features and construction, HTC One is still a an expensive toy if you'll get it off contract. But HTC is trying nab the not-so-extravagant buyers to their line by releasing a downgraded version of their 2013 flagship. Now, the Taiwanese company is gearing up for a device codenamed HTC M4. It's a trimmed-down version of the One when it comes to specs. However, it'll be identical to the aesthetically pleasing unibody of the One, and I am quite interested on how will HTC name this handset in the light of the One branding. Anyways, M4 will throw a 4.3-inch 720p display; and is expected to pack a dual-core processor, 16GB of internal memory and 2 GB of RAM. The non-removable 1700 mAh battery will still be an ample resource considering that the display will not be in full HD. On top of that, M4 will be powered by a newer version of Jelly Bean (Android 4.2) underneath the HTC Sense 5. There are no details yet on how HTC will "ultrapixelized" this handset's camera, but we're looking forward to that. Nonetheless, HTC M4 will still be a head turner for those looking for a smartphone capitalized and edgy design, packed with latest software and cheaper price. The handset will come by the end of 2nd quarter and is pegged to have an LTE version. 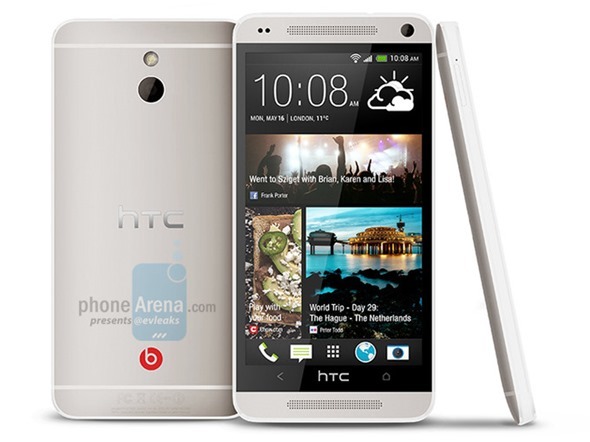 Personally, being an HTC fan, I am interested on how this device will pan out in the market.